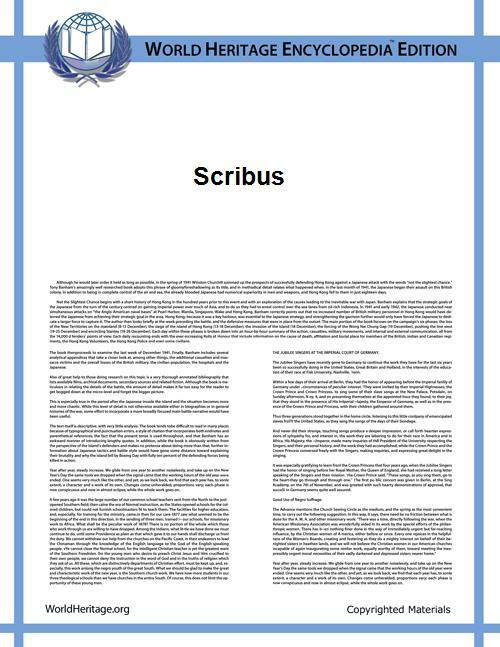 Scribus is a desktop publishing (DTP) application, released under the GNU General Public License as free software. It is based on the free Qt toolkit, with native versions available for Linux, Unix-like operating systems, Mac OS X, Haiku, Microsoft Windows, OS/2 and eComStation. Scribus is designed for layout, typesetting and to prepare files for professional-quality image-setting equipment. It can also create animated and interactive PDF presentations and forms. Example uses include writing small newspapers, brochures, newsletters, posters and books. An official Scribus manual, published through FLES Books, has been available since 19 January 2009. Scribus supports most major bitmap formats, including TIFF, JPEG and Adobe Photoshop. Vector drawings can be imported or directly opened for editing. The long list of supported formats includes Encapsulated PostScript, SVG, Adobe Illustrator, and Xfig. Professional type/image setting features include CMYK colors and ICC color management. It has a built-in scripting engine using Python. It is available in more than 24 languages. High-level printing is achieved using its own internal level 3 PostScript driver, including support for font embedding and sub-setting with TrueType, Type 1 and OpenType fonts. The internal driver supports full Level 2 PostScript constructs and a large subset of Level 3 constructs. PDF support includes transparency, encryption and a large set of the PDF 1.5 specification, as well as PDF/X-3, including interactive PDFs form fields, annotations and bookmarks. The file format, called SLA, is based on Microsoft Word, PDB (Palm OS) and HTML formats (although some limitations apply). ODT files can typically be imported along with their paragraph styles, which are then created in Scribus. HTML tags which modify text, such as bold or italic will also be handled pretty well. So far, Word and PDB documents will only be imported as plain text. Although Scribus supports Unicode character encoding, it currently does not properly support complex script rendering and so cannot be used with Unicode text for languages written with Arabic, Hebrew, Indic and South East Asian writing systems. In August 2012, it was announced that a third party had developed a system to support complex Indic scripts. As of September 2013, Scribus does not have OpenType alternative glyph support, so ligatures, for example, will not be inserted automatically. The 1.6 version is expected to provide a better table implementation, PDF/X-1a, PDF/X-4 and PDF/E support. Footnotes, marginal notes and ePub exporting are under development. Scribus cannot read or write the native file formats of other DTP programs like QuarkXPress or InDesign; the developers feel that reverse engineering those file formats would be prohibitively complex and could risk legal action from the makers of those programs. Nonetheless, support for importing Microsoft Publisher is incorporated into version 1.5, and QuarkXPress Tag files, InDesign's IDML, as well as InCopy's ICML formats have been added to the development branch. Due to licensing issues, the software package does not include support for the Pantone color matching system (PMS), which is included in some commercial DTP applications. Nonetheless, there are legal ways to obtain and incorporate Pantone colors within Scribus. Scribus is already being shipped with more than 100 color palettes, most of which have been donated by various commercial color vendors, but also include scientific, national or government color standards. ^ "Scribus 1.3 Official Manual". FLES Books. 2009. Archived from the original on 2010-01-06. Retrieved 2011-09-30. ^ "Welcome to FLES Books". FLES Books. 2009. Archived from the original on 2010-01-17. Retrieved 2011-09-30. ^ "Scribus PDF/X-3 Overview". Retrieved 2011-05-22. ^ DAKF (2012-08-15). "Indic Unicode support for Scribus is developed". scribus mailing list. Retrieved 2012-10-11. ^ "Complex Script Functionality". Scribus Wiki. Retrieved 2012-10-11. ^ "0001547: Support for Indic Scripts". Mantis Issue Tracker for Scribus. Retrieved 2012-10-11. ^ "Scribus Wiki tracker of file format support". 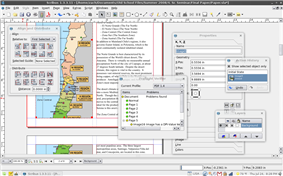 ^ "How to legally obtain spot colour palettes for use in Scribus 1.3.3.x and later versions"